There’s a regional little store in my area called Quality Dairy. If I were to describe it, I would say that it’s part corner store/part bakery/part liquor store/part ice cream parlor and in some locations, part gas station. Nothing sounds weird about that, right? But as quirky as it sounds, QD really is a local institution for the locals in my parts. There’s at least one on every major street on a corner and I can’t see it going anywhere anytime soon. For one, each one has an ATM machine that is free of that ridiculous surcharge you have to pay at every other ATM in a grocery store or other public place. Second, they make seasonal goodies that are SO good. Come Christmas, they’ll be selling their house-made Egg Nogg and egg nogg donuts, while at this time of year they’re putting out their famous, house-made Apple Cider and Apple Cider donuts. My sisters make sure there’s a gallon of QD apple cider in the fridge every single week during the Fall. I’m so not kidding. In the summer time, it’ my go-t0 place of choice for hard-packed ice cream. Not only is it delicious, they’ll also give you a lot of bang for your buck. I can go to QD once and pay $2.00-$3.00 for a ‘serving’ of ice cream that’ll last me 2 days. Top that, Coldstone. My favorite part of QD has gotta be their baked goods, specifically the doughnuts. They make them fresh every morning in a warehouse, then deliver them to the individual QD locations across the area. They’re all pretty tasty, but one of my favorites has always been their cinnamon roll doughnut. It’s literally a cinnamon roll that’s been fried and dunked into a glaze. And it’s friggin delicious. Not to reinvent the wheel or anything, but I really saw no reason why I couldn’t do the same thing on my own. When you get right down to it, a good cinnamon roll boils down to a really good dough. 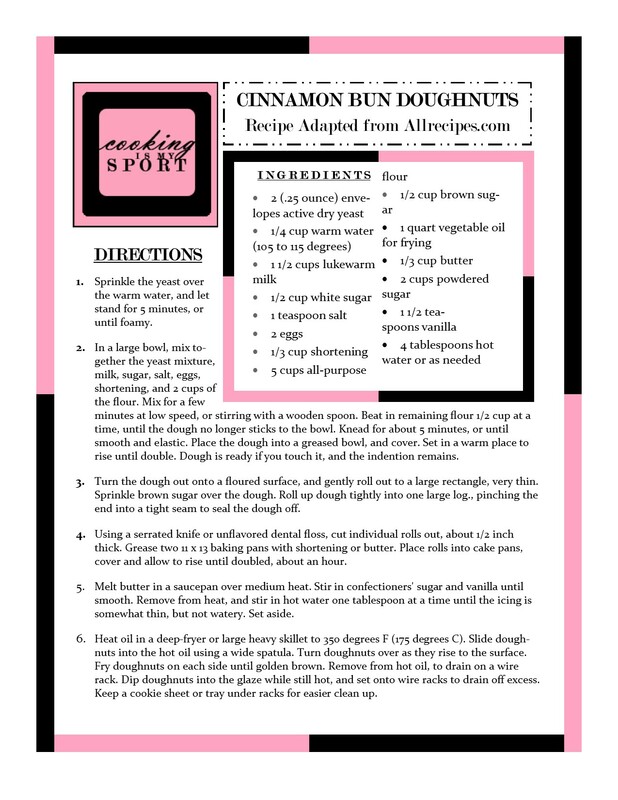 So I decided to use one of Allrecipe.com’s most popular doughnuts recipes, and construct it like I would a cinnamon roll. Once the dough had gone through it’s first proof, I rolled it out into a very thin rectangle, and sprinkled it with a brown sugar filling. Then I rolled it up in the traditional method and let the rolls proof one more time. And they do get BIG. Like, bigger than the palm of your hand, big. After they finish the proofing, I fried them up just they way you would a regular doughnut, let them cool for a minute or two, then dunked them into the glaze. These may be a little time consuming, but they were really worth the effort. I’d definitely make them again, or even make a variation of them with another flavored doughnut recipe like apple or chocolate. 3. Turn the dough out onto a floured surface, and gently roll out to a large rectangle, very thin. Sprinkle brown sugar over the dough. Roll up dough tightly into one large log., pinching the end into a tight seam to seal the dough off. 4. Using a serrated knife or unflavored dental floss, cut individual rolls out, about 1/2 inch thick. Grease two 11 x 13 baking pans with shortening or butter. Place rolls into cake pans, cover and allow to rise until doubled, about an hour. 5. Melt butter in a saucepan over medium heat. Stir in confectioners’ sugar and vanilla until smooth. Remove from heat, and stir in hot water one tablespoon at a time until the icing is somewhat thin, but not watery. Set aside. 6. Heat oil in a deep-fryer or large heavy skillet to 350 degrees F (175 degrees C). Slide doughnuts into the hot oil using a wide spatula. Turn doughnuts over as they rise to the surface. Fry doughnuts on each side until golden brown. Remove from hot oil, to drain on a wire rack. Dip doughnuts into the glaze while still hot, and set onto wire racks to drain off excess. Keep a cookie sheet or tray under racks for easier clean up. I wish we had a QD here in Niagara Falls!! What a great store! I mean, where else could you go to buy a bottle of tequila, an ice cream cone while getting your car filled up! Haha! But seriously… these donuts. I want one. How can you beat a cinnamon roll deep fried? That’s just a beautiful thing! This one might have to be made this weekend… Yum. ❤ you. Haha, and you can seriously get all of the above at the QD by my house Prudy. Yes- make them. Don’t think about it. Just DO it. 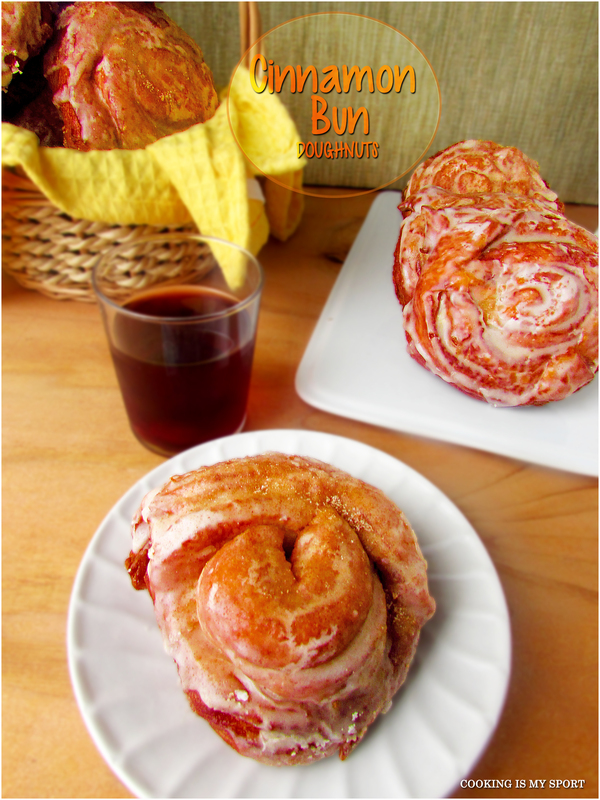 Cinnamon Bun Doughnuts?! Jess, you never cease to amaze me. I have a major weak spot for donuts and yours look so delicious! It’s just perfect for breakfast. Thanks for sharing this with us! You and me both, Bonnie. I have a VERY hard time to saying ‘no’ to doughnuts. Thank you! These look so good! It’s not even 9am and I’m craving doughnuts now!! OH my GOSH, how good do these look?! Looks amazing! Now I am really hungry!! I love the sound of QD – it sounds quite local and homey but organised too. And these donuts, Jess – oh my! I could do with one just about now!! That’s a great description of QD, it’s practically an institution here. Thanks Selma! 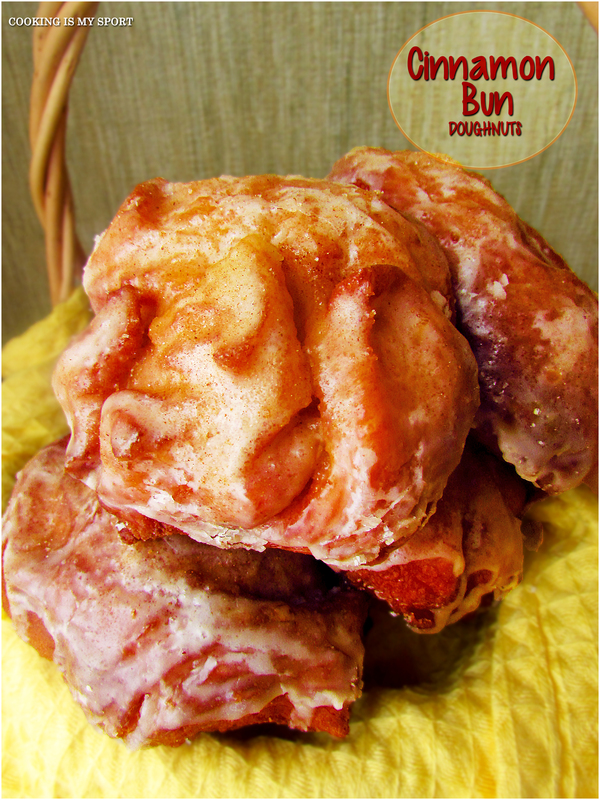 Jess, these cinnamon bun doughnuts look gorgeous! …I can almost taste them!!!! Yummy! 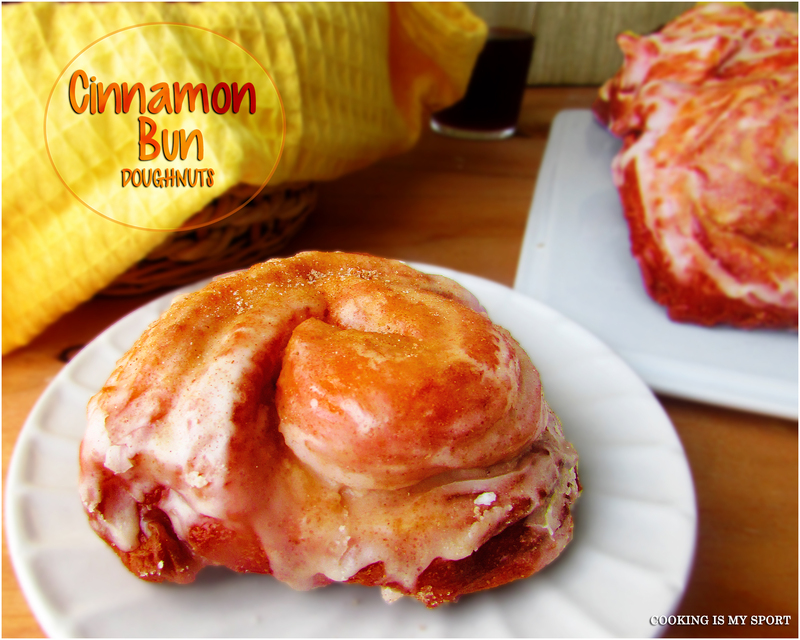 Your cinnamon bun doughnut looks crazy delicious. It would be so addicting! It came out beautifully! QD sounds like a great store, Jess–wish there were one near me! These donuts look absolutely amazing!